Begin your research into the history of Mexico for HIST 247 and find articles, books, journals, videos, and more. Discover additional resources and even more databases with these subject guides. Looking for information? Start here! iShare: Discover print and electronic books here. Academic Search Complete. Articles from over 6,000 journals in many fields. America: History and Life. Articles and book reviews on Mexico. Area Studies Video Online. Films focused on cultural, political, and socioeconomic issues on Mexico. Films on Demand. Streaming videos in all topic areas, searchable by subject, title, or special collection. 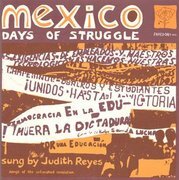 Includes categories on Mexico. The New York Times historical files. Articles from 1851 to 2008. For articles after 2008, use Nexis Uni (new interface to Lexis-Nexis). Politics and Current Affairs Video Online. Documentaries about Mexico. World History in Video. Documentaries about Mexico. 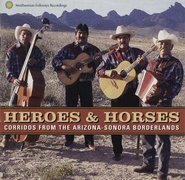 Thirty-one recordings of corridos from the Smithsonian Global Sound collection. Many are very rare recordings found only at the Smithsonian Center for Folklife and Cultural Heritage. Also listen to thirty-four recordings from the American Song collection. 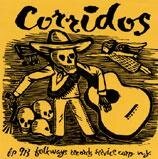 Corridos are popular narrative songs, usually ballads, about daily life, oppression, and revolution. The Walls of Taniperia, about an Indian community in the Chiapas region. 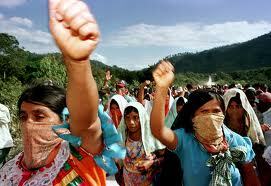 70% of the population are Zapatistas, supporters of the peasant revolution, the rest support the government. From Academic Video Online. Cause for Murder: Fighting Corruption in Mexico. Startled by the killing of two young women lawyers, Mexico struggles to confront its own political morass. From Films on Demand.